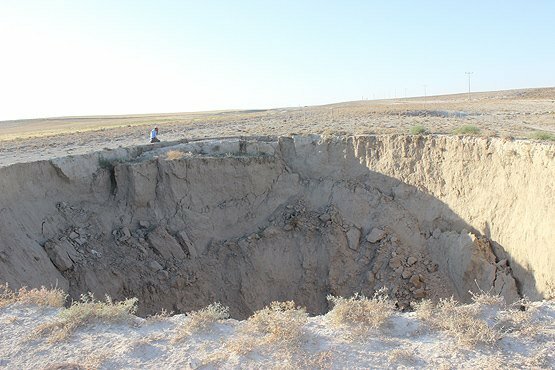 An enormous sinkhole suddenly formed in the ground of the province of Konya in Turkey on September 23, 2017. 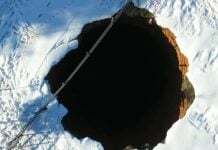 The 40 meters wide by 20 meters deep crater collapsed in a loud roaring noise, that terrified both shepherds and livestock. 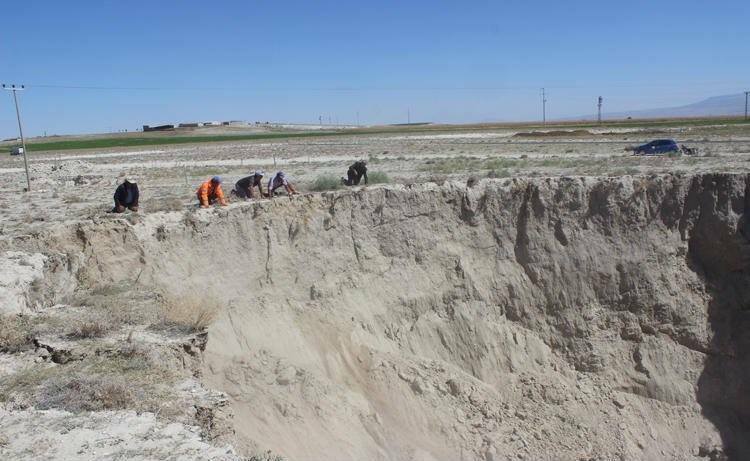 An unusual and terrifying natural phenomenon occurred on Saturday in the Karapınar district of the central province of Konya in Turkey. According to local residents, shepherds heard a loud rumbling that frightened all livestock. 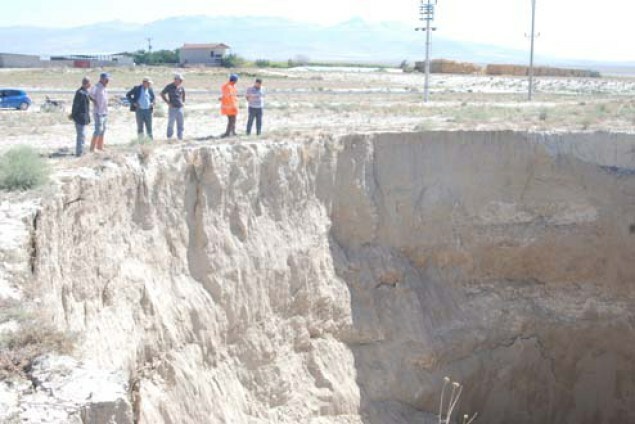 Looking for the source of the loud noise, they found a huge hole in the ground that formed near a road in an empty area. 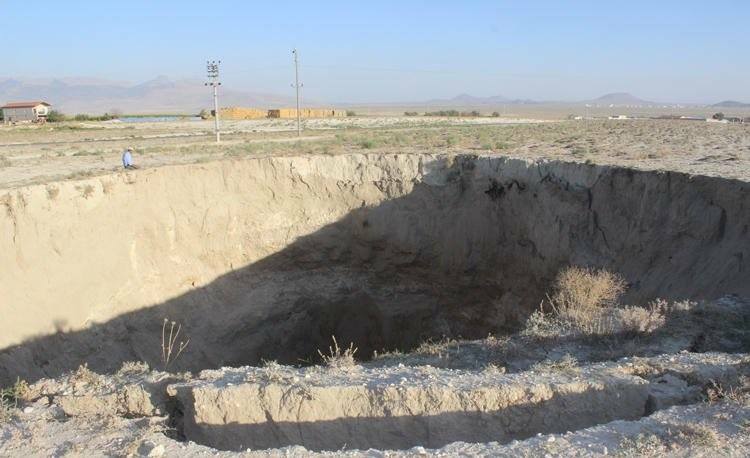 The giant crater, that formed instantly, mesures 40 meters in diameter and has a depth of 20 meters. 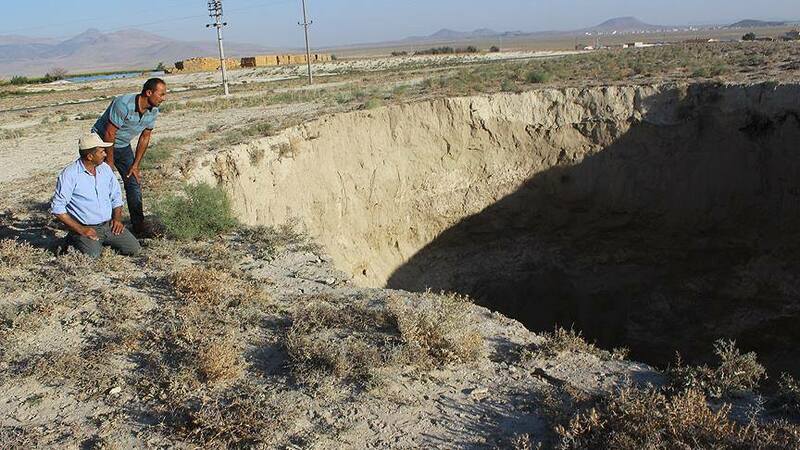 Now residents and shepherds are scared by the idea of their houses or themselves being swallowed by such holes in the near future. 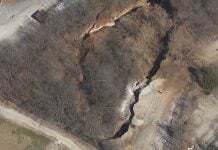 This is however not the first time that huge craters have opened up without warning in this area. 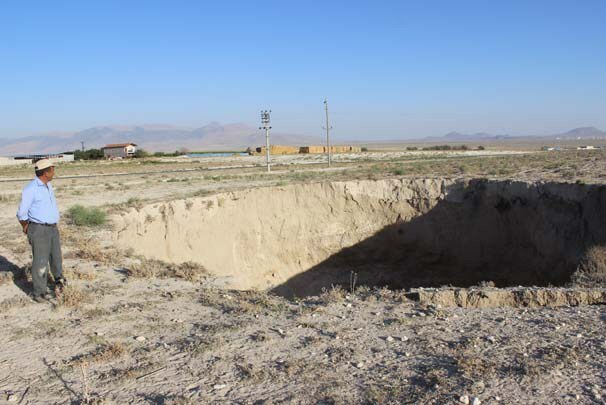 Last year for example, 7-8 sinkholes formed… But they were all smaller (10-12 meters in diameter). Maybe God is trying to get their attention. The HAARP making holes in the ground with shock waves. Again again and … again …. 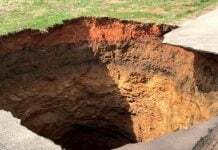 I awoke with a dream, Turkey had more sinkholes and the land was disappearing fast; people were trying to escape and evacuate.